Escape to Africa this Summer at Werribee Open Range Zoo .. well not the country per se, but themed events from the animals' "Mother Land". The Rhythm of Africa vibrates out into the lush lands of Werribee Open Range Zoo from 7 January 2017. 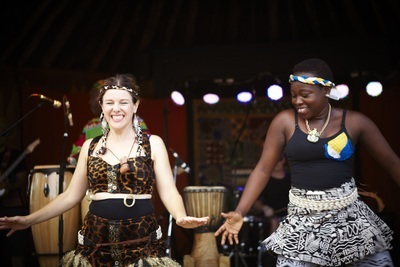 This will be the twentieth year of the Rhythm of Africa at Werribee Open Range Zoo, which sees Melbourne families enjoy live African music and themed activities. This year's live concert series, performed every Saturday night from 7 January to 25 February, will feature live contemporary and traditional African bands. The 2017 Rhythm of Africa program includes Lamine Sonko and the African Intelligence, Musiki Manjaro, Akoma Beat and King Bell and Soukous Ba Congo. Proceeds from the concert series help Zoos Victoria fight wildlife extinction. As well as live music to enjoy, you are invited to enjoy Melbourne's balmy nights with a tour through the savannah until 6pm. The African Pula Trail will also remain open until 8pm, allowing you to explore the Zoo as dusk fall; the time when Lions, Wild Dogs and Cheetah are the prowl and Hippos grazing on the beach. 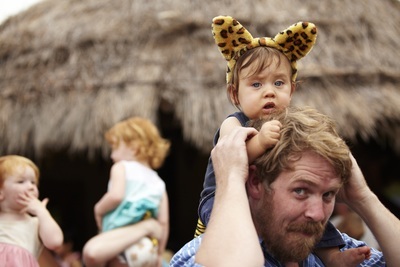 Themed activities also include drumming workshops, hairbraiding and face-painting and Ethiopian Coffee Ceremonies. If it's really hot, your kids can splash around and cool off under the fountains (don't forget their bathers!). Buy African-inspired dishes when you visit, alternatively, BYO blankets, hampers and beverages for a relaxed picnic on the lawn. Bask in the warmth of Melbourne this summer, and enjoy Werribee Open Range Zoo for a unique opportunity to experience a little piece of Africa, Down Under. Buy Tickets: HERE or call 03 9731 9600.